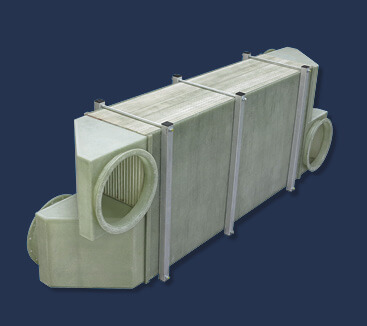 Since more than 30 years, CALORPLAST Plastic heat exchangers are the benchmark for heat transfer solutions in corrosive environments. The unique and patented modular system that combines the efficiency and reliability of a serial product with the flexibility to design fully customized solutions to meet your high expectations. 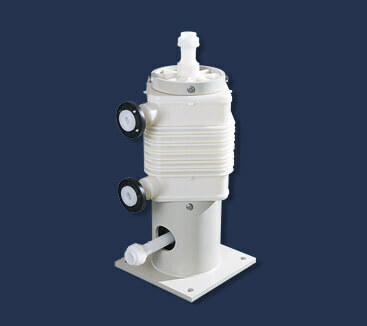 Plastic immersion type heat exchangers are important components in i.e. the surface technology and the chemical industry. The CALORPLAST plastic immersion-type heat exchangers are suitable for heating and cooling of highly concentrated anorganic acids, high-purity media or aggressive and surface-encrusting fluids in tanks and vessels. The CALORPLAST plastic gas-liquid heat exchanger is manufactured entirely from plastics and is used for heat recovery as well as for cooling and heating large gas flows. 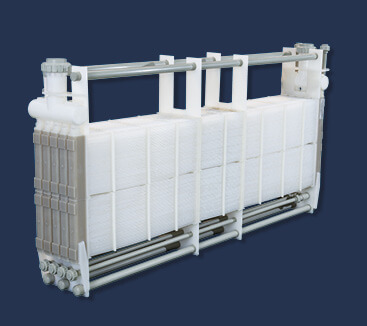 The heat exchanger is a recuperator for heat transfer from a gaseous medium to a liquid medium. The plastic tube and shell heat exchanger features a compact design and a very high heat transfer performance, due to the use of thin-walled, non-fouling tubes. 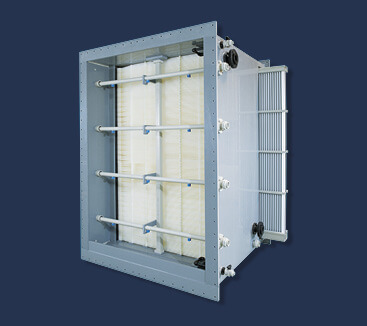 Kept in classic design, the CALORPLAST plastic shell and tube heat exchanger is an external heat exchanger for cooling, heating, condensing, or evaporating of high-purity media. Plastic tube plate heat exchangers are often used in surface technology, chemical industry, biogas generation, sea water aquariums, semi-conductor and pharmaceutical industries. The CALORPLAST plastic tube plate heat exchanger is an external heat exchanger for the heat transfer between low-viscosity fluids. 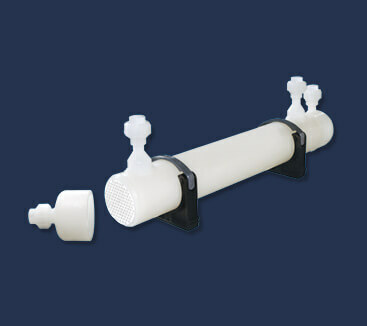 Suitable for clean and moderately polluted media, it can be used as a heater or cooler as well as a condenser for vapours. Entirely made from plastic material, the CALORPLAST plastic gas-gas heat exchanger allows efficient heat recovery of polluted exhaust gases in highly acidic environments. The heat exchanger is a completely new and innovative recuperator for heat transfer between two gases. Due to it´s solid plastic design, the risk of damaging corrosion resistant linings is completely eliminated and guarantees long term usage of the equipment. 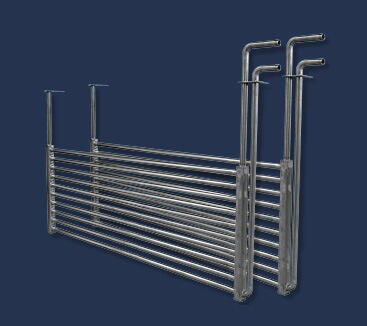 The CALORPLAST stainless steel immersion type heat exchangers type CALORMET are suitable for heating and cooling of corrosive media in process tanks and combine highest quality, performance and cost efficiency. The use of stainless steel is specially recommended for high alkaline solutions or diluted acids. Therefore the CALORMET stainless steel heat exchangers complete our portfolio of immersion type heat transfer equipment for surface technology applications.